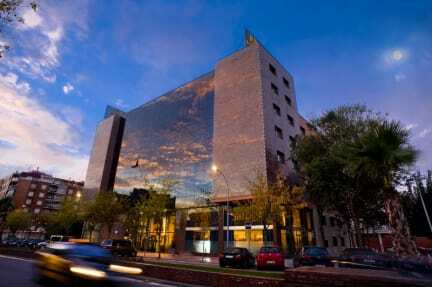 This design hotel offers a free shuttle to Barcelona’s El Prat Airport, located 4 km away. It offers a sauna, gym, indoor pool and rooms with free Wi-Fi and satellite TV. 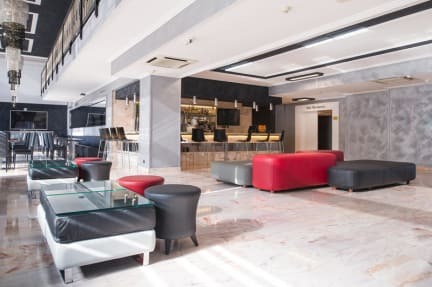 The stylish, air-conditioned rooms at Hotel Ciutat del Prat feature modern décor and a flat-screen TV, kettle, minibar, toiletries. The hotel’s classic-style Sinfonia Restaurant offers fresh Mediterranean food. There is also a café-bar where you can get a snack or a drink. A buffet breakfast is available from 06:00 each day.